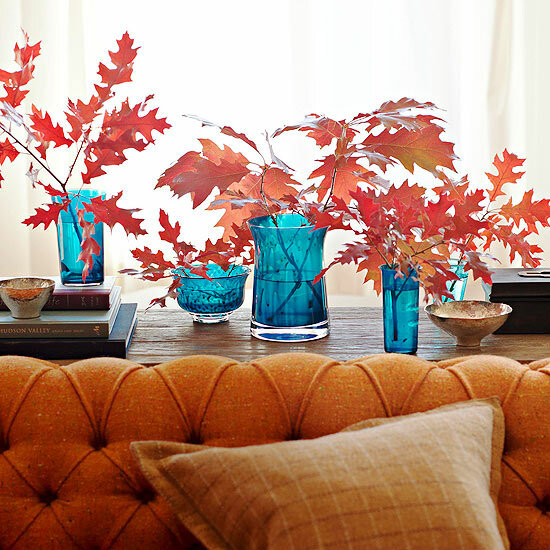 Create a big impact with your fall displays by using contrasting colors. 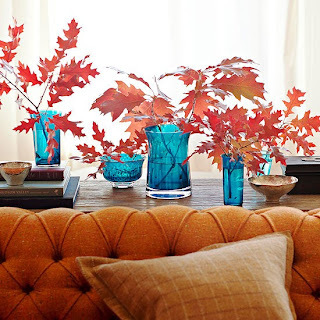 Use a vase in a color that complements that of the leaves you use to make them stand out and add more colors to the room. Stick with cool colors, like blues, purples, and greens, to complement different shades of red, orange, and yellow leaves. 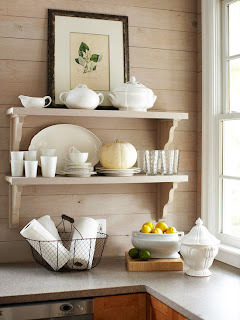 Open kitchen shelving offers a plethora of decorating possibilities all year long. For a subtle and sweet fall accent, tuck a pumpkin among displayed dishware and other accessories. Surrounded by white dishware, this pumpkin blends in easily but also adds a hint of natural texture. Jack-o'-lantern faces aren't the only option for pumpkins. 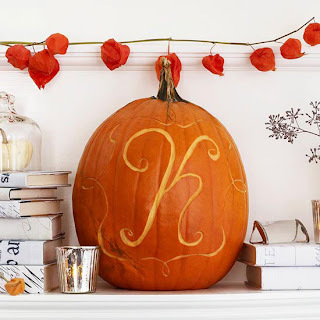 Try different pumpkin-decorating techniques to correspond with your own personal style. Go with curvy carvings for a more elegant, refined look, or paint shapes or designs on the pumpkin for a bold look. Try different sizes of pumpkins for variety, and even try different colors -- orange, white, or even green. Turn russet-orange roses into an autumn accent simply by adding woodland-inspired details. 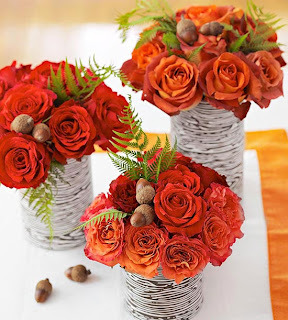 Fern fronds and acorns add a forestlike touch, giving the glam roses a more earthy vibe. Complete the look by turning a basic vase into a woodland stunner by wrapping it in wood-look wrapping paper. Make your table set for the season by combining a variety of fall styles. Drape your table in a plaid flannel tablecloth. 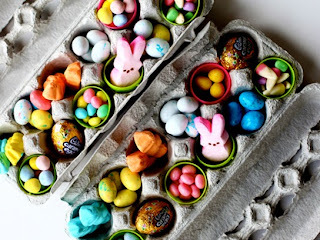 Top it with seasonal produce such as apples, pumpkins, and little gourds, and garnish the look with flowers. 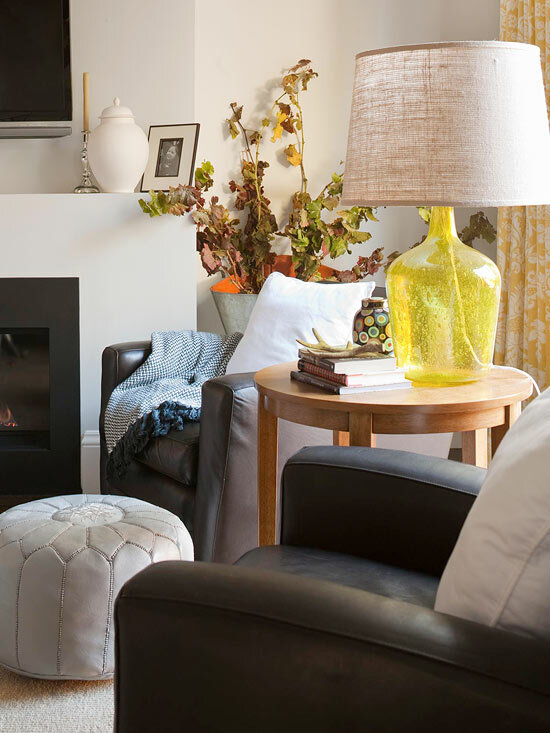 Accents in warm, neutral colors such as brown, yellow, orange, and red add to the fall-inspired look. 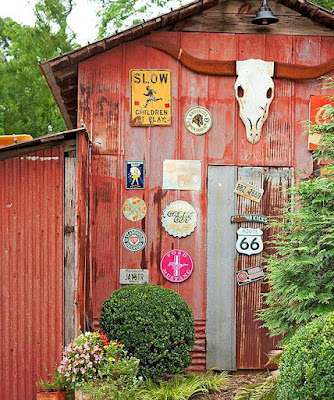 As the seasons change outside, your home decor should change, too. One easy and creative way to cultivate a subtle fall style statement is by switching out ordinary accessories for ones with texture. Here, an ordinary lampshade was replaced with a linen one, incorporating natural texture into an unexpected place. 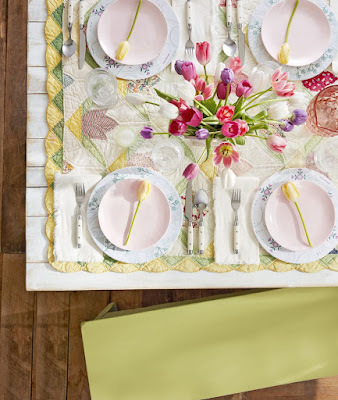 Embrace the colors of the season with colorful place mats and centerpieces. Here, bold orange place mats and two shallow trays of gourds create a stunning fall tablescape. 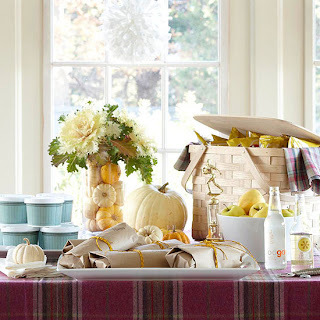 Further the look by seeking out festive dishware in fall-inspired hues and napkins in patterns such as gingham, plaid, or houndstooth. Creating a stunning seasonal centerpiece doesn't have to cost an arm and a leg. 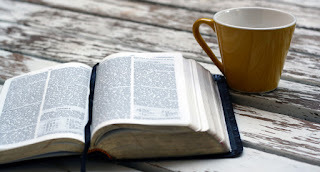 For a quick and easy fall arrangement, collect fallen branches and place them in a vessel you already own. Or, take a trip to your local crafts store and search out faux branches featuring fall berries or leaves. 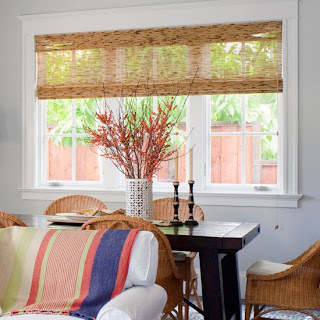 The arrangement will have the same wow-worthy effect, but you won't have to worry about trailing bugs or dirt into your home, and you can use the faux finds for years to come. 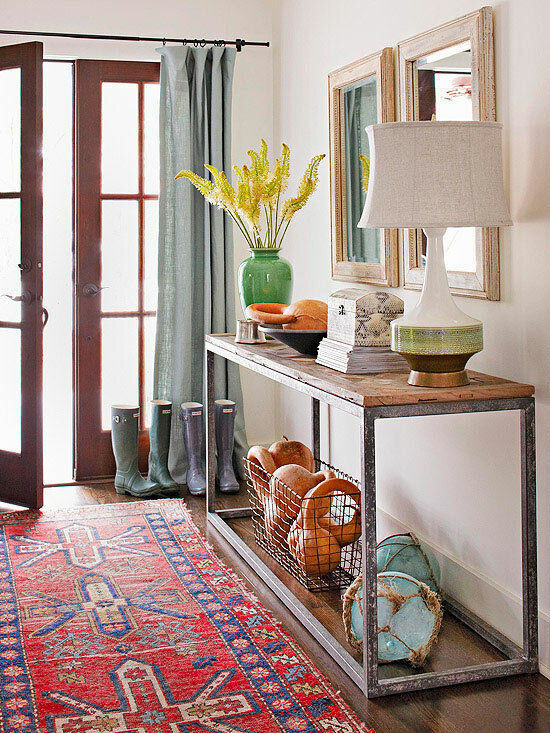 Welcome guests into your home with a casual fall entryway arrangement. Creatively repurpose serving trays to display a collection of gourds or small pumpkins. 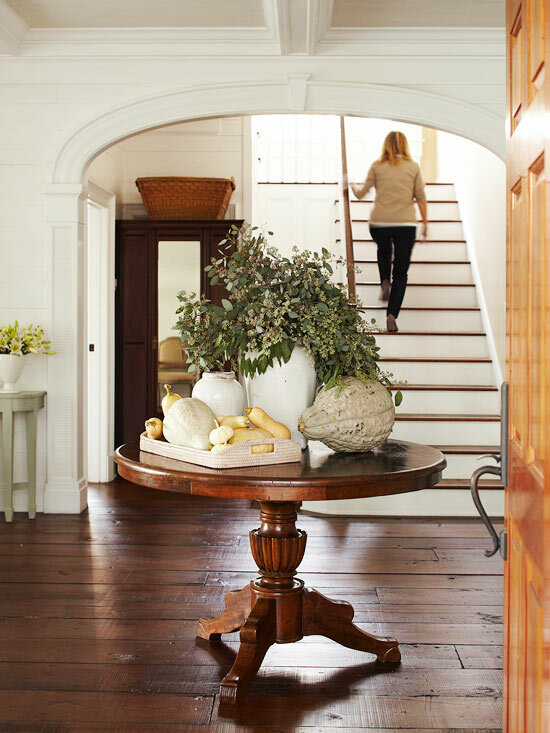 Large primitive-style pottery can hold an arrangement of leafy branches or late-blooming flowers. This table was placed in the center of this spacious entryway, but you can also re-create the display on a side console table if your home has limited space. Spruce up a neutral sitting area with a splash of fall-inspired color. 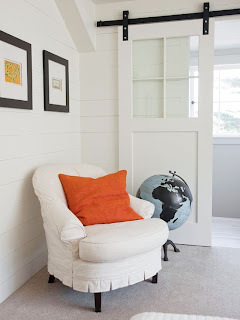 Here, a bold burnt-orange pillow adds contrast to a creamy white chair and walls. 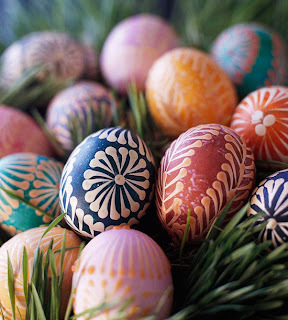 Other seasonal hues include rustic reds, rich yellows, and chocolaty browns.